Initiating a greenhouse cultivation by yourself can be as amusing as it can be daunting. Although it might seem like a hobby and an act of leisure, it surely necessitates some degree of skill and knowledge. However, if you are absolutely uninformed regarding this practice, it might pose a few problems for you. Fortunately, the basics of greenhouse growing are more straightforward and achievable than you think. If you happen to have no experience in this area whatsoever, it is advised that you start at a small scale- buy a few pots, some seeds of your choice and the appropriate amount of soil. Test the waters before you take the bigger jump. Starting small will also help you to work in a more controlled environment and is more likely to work in your favor. 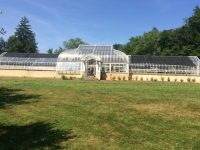 While selecting an area for your greenhouse structure, you would be required to look further into the future to estimate the space your plants will be taking a post a few weeks of growth. Therefore, it is prudent to not overcrowd your greenhouse as that will leave no space for growth for your plants after a while. 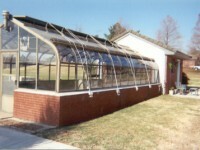 Don’t feel restricted by generic options for starting a greenhouse cultivation. If you have a desire to start this plan by growing wild orchids, you could very well do so. Greenhouse gardening has unlimited provisions for your choice, so make the most of it and initiate a plan that suits your disposition. Greenhouse cultivation and composting are eternally reliant on each other. In this method of gardening, you have the option to even create your own customized compost right in your backyard. Composting makes use of anything and everything- you could use your everyday table scraps, newspapers, and other biodegradable materials to start a compost pit. Compost is an ideal supplement to greenhouse gardening and it will allow for an expansion of your interests in this domain, helping you learn more about this practice. Optimum temperature and lighting conditions are vital to a prosperous growth for your plants. You would be required to maintain fairly warm temperatures in the greenhouse. For that purpose, you could electric heaters, gas heaters, or you could opt for a power-conserving recourse by using large rocks, and other natural heat absorbing materials to retain the temperature. Similarly, if you live in a climate that is too hot, you would need to cool down the temperatures using devices like evaporative air cooler, which also help in the mention of humidity. You could control and optimize the lighting conditions in your greenhouse by making use of high output fluorescent lamp strips and LED grow lights, which are both energy efficient and customizable in accordance with your greenhouse space. It is a widespread misconception that you have to water your plants every single day on a set schedule. 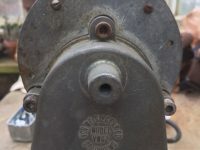 In reality, the frequency of the required watering rate is determined by a number of variables, including the draining capacity of your soil, the type of pots you use, and of course, the type of plant in question. Make sure to tailor the watering schedule corresponding to these variables. 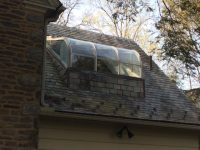 Finally, if you find yourself in a quandary regarding the necessities and the construction of greenhouse structures, you can always give a call to Glass Garden Builders, a reliable greenhouse restoration and construction service provider that can cater to all your needs for initiating such a project.